Since starting this blog, I’ve placed emphasis on RSS feeds. Colleagues and readers have been quizzing me on why a legal blog needs RSS feeds and why I don’t spend more time on posts. The reason is that RSS feeds are important tools for modern lawyers and, indeed, professionals around the world. Because of that, I thought it would be useful to set out the practical and legal issues that should be noted and distinguished in order to exploit RSS to its fullest. RSS, standing for ‘Really Simple Syndication’, is a way of sharing content among sites or computers. Take a look at the foot of this page and you’ll see instantly what I’m talking about. Why is RSS helpful for lawyers? Its exposure across the web and use by lawyers and indeed every type of business, especially in recent years, has been immense, a particular product of web 2.0 and the global pervasion of broadband. It might not be something your average lawyer would know much about. But if they’re starting to get used to personal computers, Word, DMS, learning new skills such as touch-typing and powering through emails on BlackBerries, then they certainly should by now! Even the highest commercial court in Scotland has adopted its usage on its website, as you can see from the Court of Session RSS feed below. First, ego feeds are essentially keyword searches for the firm or lawyer’s name. Each time the keyword appears in the news article or search engine a new item will appear in the feed. Lawyers can click-through and view the source of the mention. Similar to ego feeds, lawyers use RSS to track current events that relate to cases and business in which they are involved, through, for example, monitoring specific news topics e.g. Google Updates, whether daily or weekly. When involved in a fairly large litigation, potentially worth hundred of millions of pounds, daily Google Updates for any news with the name of the particular company being sued was a priority for me as a trainee. Firm publicity can also appear in an RSS feed to help increase the distribution and reach of the press release. RSS can also be used by large firms to announce press conferences at the culmination of a case or deal. RSS can be used to monitor pending court cases, and rulings that might affect a specific segment of law, or deals that may affect a particular client or industry of a client. Lawyers can use RSS to monitor legislation that relates to specific cases, topics or industries. Ego feeds can also be used to monitor the business of key clients. Industry events, legal conferences and events can be followed using RSS feeds. Lawyers can use social bookmarking tools and RSS feeds to share web research resources with colleagues. This can reduce the amount of time spent researching issues. Job feeds are increasing in popularity in all industries. Lawyers in search of employment openings can subscribe to RSS feeds and learn about new employment opportunities as they become available. Many courts are now publishing court rulings in RSS feeds, making them available to the general public. As mentioned, the Court of Session now has its own feed, which I have included below. 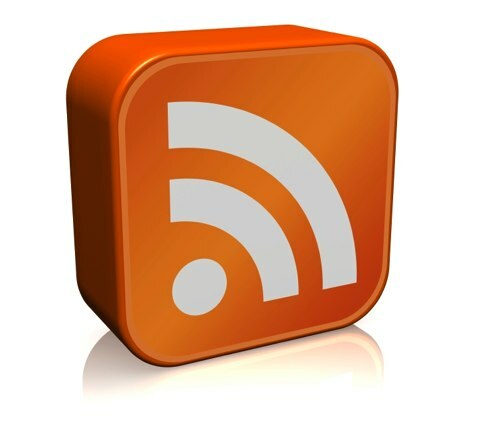 Lawyers can use RSS feeds to stay connected to industry information. For instance, I have included the Law Society of Scotland’s online magazine, The Journal Online, in an RSS feed link below. Many lawyers have expanded their practices by setting up blogs offering legal advice. Often the contents of the blog are syndicated using RSS feeds. See below on the legal issues involved in using such feeds. Many businesses and legal courses have articles and podcasts available. Lawyers interested in expanding their education on a specific segment of the law can read their articles, listen to audio podcasts or subscribe to video podcast lectures e.g. Westlaw and Practical Law Company (PLC) have RSS feeds that can be used if you’ve paid to subscribe to their services. First, in offering your own RSS feed, it is difficult to know who is using the feed and how they are using it. To control use of that feed, consider building in terms and conditions at the point of its availability. Some RSS feeds, such as my own, at http://scotslawblog.com/feed/ are offered under the terms of the Creative Commons licence, while others set their own terms or none at all. Also consider that a third party website might aggregate and display the output of your free feed and other similar ones and then charge its own visitors for access, or profit from adverts that surround its output. The lesson is that if you object to any commercial use at all, which is likely, you should think about saying so in your conditions of use. Of course, carving out conditions of use interferes with the inherent flexibility of RSS feeds, which will certainly impinge upon their commercial usability. Many sites such as Scotslawblog.com and OUT-LAW.com have decided against imposing conditions for the use of their RSS feeds but they have limited the content to a headline, a date, author and an excerpt of text. This is commercially sensible: today’s web users will skim material very quickly; if they see something that catches their eye, they will want to read on, which will encourage them to click the relevant link to the mother website. Further, it protects against viral exploitation of copyrighted material. The developer should consider further practical protection of copyright. For instance, inclusion of a copyright notice e.g. © Scots Law Blog 2010 in the Item Description field with a copyright notice link e.g. http://scotslawblog.com/legal/ . Second, most providers of RSS feeds will accept and, indeed, will be pleased to have their feeds displayed on the website of a third party. For instance, I have had numerous pleasant emails, from authors of the RSS feeds below, saying that they are happy for me to do so. As mentioned above, third party usage of RSS feeds gives the authors commercial advantage both by advertisement of their brand and potential for users to click through upon reading something that catches their eye. Best practice dictates that you should seek permission from the RSS feed provider before linking to their site, particularly if you plan to make profit from the feed, either through subscription or parallel display of adverts e.g. Google AdSense. And, of course, consent is required if the RSS feed contains such conditions against such usage, commercial or otherwise. This is what I’ve tried to do, by emailing the authors, which, if nothing else, shows basic decency and courtesy to those people who have spent a lot of time creating an intellectual product. As a final warning, it is axiomatic that, once you have linked to a third party RSS feed, you have effectively placed absolute trust in that publisher: if they publish something controversial, defamatory or perhaps even malicious in the form of a computer virus, your business may become implicated. As Fell and Robertson note, judgment has already been handed down against such a business in France in 2008, but a similar UK case is rather unlikely to arise. Ultimately, this all manifests a reflection of the issue of websites acting as “mere conduits” when hosting material created by others. The courts across the world have seen it all before: from Napster in the UK in the 90s, to Pirate Bay in Sweden in 2009, but that is the subject of a whole other discussion. In my own experience, RSS feeds avoid the spam-like nature of email updates and allow for fast browsing of updates that suits you, which can help increase your efficiency, productivity, learning and knowledge. Obviously, that demands some initiative on your part, but if you can appreciate how much effort went into each and every post to which the RSS feed links, then it doesn’t take too much effort to get out there and start looking for RSS feeds relevant to you and your clients, such that you can build a collection, much like I have at the foot of this page, for your own personal and commercial purposes. Alternatively, of course, you could just come to this site to view them all at once. But where’s the fun, (or plug?) in that? Thank you for your post. Please do quote whatever you like provided you reference me as Gavin Ward of wardblawg.com. I'm glad you have enjoyed the site. Please subscribe at the top left of this window and feel free to explore the rest of the site and my sponsored posts.